Summer temps are certainly upon us and with that comes a homeowner’s responsibility to take care of their newly planted grass or sod. Hot summer days can be hard on your yard and you will want to make sure to water all sod and grass seed, especially newly installed sod or seed. Unlike established grass, new sod requires a great amount of water frequently, to ensure that the sod will take root. Just like any other plants, overwatering of sod can be damaging as well and can cause the sod to become soggy, rust can rise up, fungus could grow, it can be susceptible to bugs and will eventually prevent it from establishing a strong root system. Should you start to see signs of excessive watering skip one or two watering sessions so the sod and soil underneath is not over saturated and soggy or rust colored. Watering is most effective when done early in the morning prior to sunrise, right after sunrise and again when the sun goes down. Following our suggested schedule below, so your yard doesn’t go brown and takes properly to the soil and you can enjoy it for years to come. When a new lawn is installed, care is very important; particularly for the first month. The below are general care guidelines for seed and sod to help achieve the best possible lawn. These guidelines do not guarantee a healthy lawn, and Thomsen Homes is not liable for growth of the lawn. In general, if the soil is cracking, there isn’t enough water being put on the lawn. If there is runoff, too much water is being put on the lawn. To assure proper germination water regularly; keeping the yard moist will maximize seed germination. By watering regularly and keeping the new seedlings from drying out will give the lawn the best chance at proper growth. It is ok to walk on the hydro seeded surface when watering. Try to walk only on areas that are dry, and try not to disturb the mulch mat. Avoid fertilizers with high nitrogen content since these can lead to disease. Remember to fertilize the sod every 50 to 60 days from March to October, resuming this pattern again next spring. Do not over fertilize, as this can burn the seed out. Fertilizing in the winter can stress the sod. Use a weed control fertilizer to tackle weeds, if any. It is imperative to douse the sod with water as soon as it is laid, within the first hour at the latest. Watering frequently keeps the delicate roots from drying out and prevents the sod from shrinking in size. This is especially important if the sod is exposed to full sunlight. Make sure to water uniformly so it reaches all the way down and becomes soggy. Keep soaking it this way with water for the first two weeks. If temperatures rise, sprinklers can be put on every two hours to make sure water penetrates the soil through each panel of sod, especially the edges and the seam. In the summer months, it is always best to water either at night or early morning (when chances of evaporation are minimum). Avoid watering in the evenings, since it may increase the chances of fungus growth. If the sod starts paling in color, it means it is not receiving enough water. Continue watering it thoroughly so it receives moisture and resumes its previous color. Avoid fertilizers with high nitrogen content since these can lead to disease. Remember to fertilize the sod every 50 to 60 days from March to October, resuming this pattern again next spring. Do not over fertilize, as this can burn the sod out. Fertilizing in the winter can stress the sod. Use a weed control fertilizer to tackle weeds, if any. Even the slightest pressure on the newly laid sod can cause the delicate root system to tear even before it is fully formed (delaying the knitting process with the soil and at the seams). If there are children, or pets in the home it is suggested to cordon off the area where the sod was laid by making a simple, yet functional, wire frame that will serve its purpose. Wait at least 5 weeks before mowing the sod to ensure the roots have established themselves into the soil (and will not break due to the weight of the mower). Remember not to mow more than 1/3 of the leaf length the first time, taking it down from there with each successive mowing (until desired height is reached). Week 1 – Controller will be set with 3 watering start times per day for new sod. Water 3 times per day for one week. Sod will be very wet by the end of the week. Rotor zones will be set to run 40 minutes, and mister zones will be set to run 20 minutes. Keep close watch on the sod, if any of the sod is turning grey or looking dry, adjust the heads or call Thomsen Homes. Week 2 – Set controller to only watering 1 time per day. This is done by turning the dial to Program Start Times, incrementing start times 2 and 3 to OFF, leaving only 1 start time. Keep a close eye on the sod to make sure it does not get too dry during these times. A few extra watering’s may need to be done if it is extremely hot or windy. Week 3 – Set controller to only water once a day Every Other Day. This can be set by turning dial to Set Days To Water. Keep a close eye on grass during this time as well. Remaining life of Sod – Cut back on watering based upon how green of a lawn is desired. Most people tend to water 3 days a week, and let the rotor zones run 30 minutes and mister zones run 15 minutes. After Seed is put down – Controller will be set with 4 watering start times per day. Rotors will be running 7 to 10 minutes, and misters will be running 3 to 5 minutes. Water like this until green grass is seen sprouting all over the yard. Once all Grass has sprouted – Turn the watering down to 2 times per day. Rotors running 15 minutes and misters running 7 minutes. This can be done by turning the dial to Program Start Times and incrementing start time 3 to OFF, leaving only start time 1 and 2. Then adjust Zone Run Times. Water like this until grass is about 3 or 4 inches high. Once grass is 3 or 4 inches high – Cut back to 3 or 4 days a week depending on how green of a lawn is desired. Rotors should be set around 30 minutes and misters around 15 minutes. Head installation – All Heads will be set to slightly over spray to compensate for wind. When the lawn is established, heads should be fine-tuned so they are not over spraying. Be sure to talk with your landscape company after the installation of your sod and they can give you the advice and instructions on how to take care of your new lawn. Check back for more homeowner tips like this on the Thomsen Homes blog. Let’s face it, moving can be stressful and when you throw a new area, city, state into the mix it can get even tougher. For whatever reasons, you are moving whether it’s a new job, growing family or being closer to relatives here a couple of questions to ask yourself before relocating to a new city. Can I afford the tax rates? Tax rates vary from state to state so becoming familiar with the city/states tax laws is a good idea before claiming residency. For example, in North Dakota and Minnesota income and property tax vary quite a bit so knowing this prior to your move can help when selecting on where to live. School Districts and where do they rank? Kids? No Kids? Looking at the school districts for your kid’s academic development is crucial when relocating. It is also important to take into consideration when looking at a school’s reputation and public education system because this could be a factor when looking at resale value. Getting to know the community and the things to do in it is also something to consider when relocating. Annual events for example in the Fargo-Moorhead area like Happy Harry’s Ribfest, WestFest, Moorhead Farmers Market, Red River Valley Fair, and the Eco Chic Design Conference among other events are great opportunities to get to know an area and the people in it. Fargo- Moorhead climate… let’s just say that the climate in our area isn’t a big draw to the area. However, when relocating and looking at areas to live weather can be a big factor. If you have ever been to the F-M/ West Fargo area the weather may not be the #1 reason you would want to relocate here but the community and people in this area outweigh the negative temps. When you know… you just know. That’s exactly how Amber and Dustin felt when they walked into a Thomsen model home. 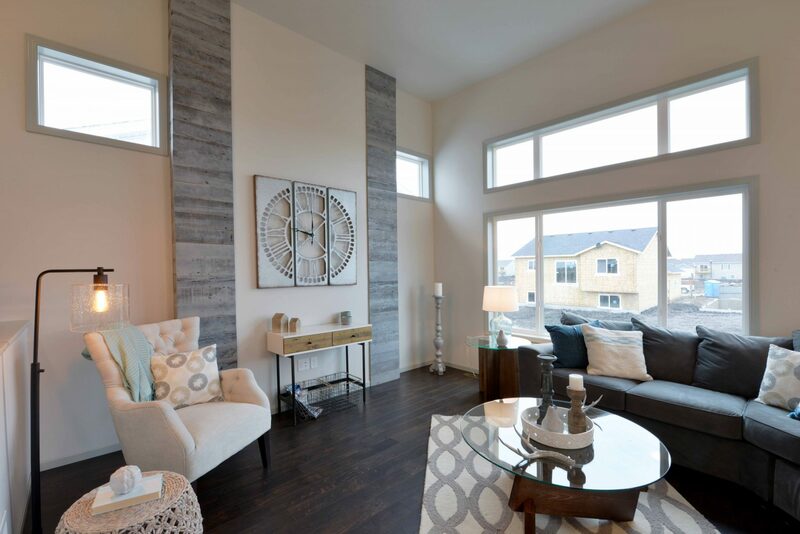 Within hours they decided to put their home on the market and build with Thomsen Homes. There certainly is a buzz in the air this time of year in the Fargo-Moorhead community. This week marks the 13th annual Fargo Marathon. Even if you’re not a runner you can’t help but take notice of all the events in town that are going on leading up to the Fargo Marathon. The events have been kicked off with the Cyclothon, Furgo Dog Run, Largest Kid’s Race, 5K Walk/Run, Full Marathon, Relays and so much more! 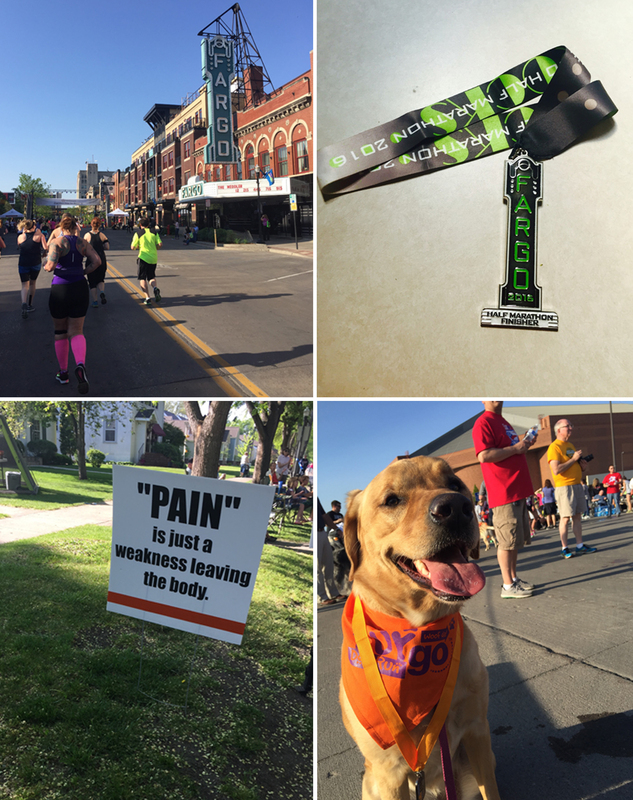 The Fargo Marathon has something for everyone whether you have a co-worker, family member, friend, kid or dog participating it is fun for all. Even if you don’t know anyone in the races you can cheer on runners throughout the marathon routes. It is a great way to support our community and those outside of our community that come for the events. Brock one of our construction managers is participating in the events and running the 5K. If you see him, be sure to cheer him on! Reclaimed wood. It’s rustic, unique and functional. 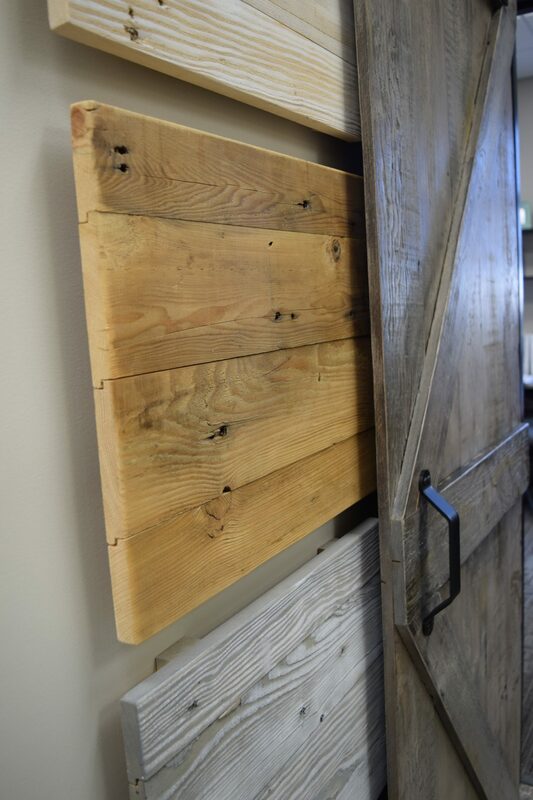 Reclaimed wood’s distinctive appearance, it’s contribution to green building and the history of the wood’s origins make this growing popularity of using reclaimed wood for furniture, décor, sliding doors, feature walls and more. Midwestern boys through and through, the men of Grain Designs in Fargo, ND are passionate in what they do and it truly shows in their work. From what started as a need for apartment furniture, owners Blain Mikkonen and Grant Koenig took their background in architecture and design to create a company where they can create different pieces and see their ideas come to life. Thomsen Homes is so excited to collaborate with the talented team from Grain Designs to offer our clients genuine custom designs that they can incorporate into their home. No matter what the home plan you are building Grain Designs can offer custom reclaimed wood paneling, doors, tables, mantels and more. 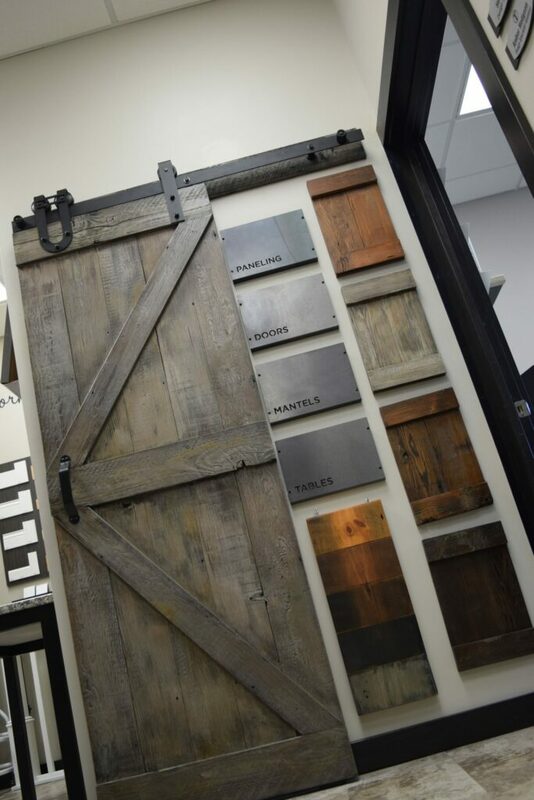 When you meet with your design specialist at your interior selections appointment you can check out the design studio to get a glimpse of what options we have available. Your home is a reflection of you. Your lifestyle. Your family. Our collaboration with Grain Designs is just another layer of opportunity to make your home unique to you and your family. Your moment is now. Grinning from ear to ear, Katy and Scott along with their sweet boy Daks were all smiles as we talked to them about their experience building with Thomsen Homes. 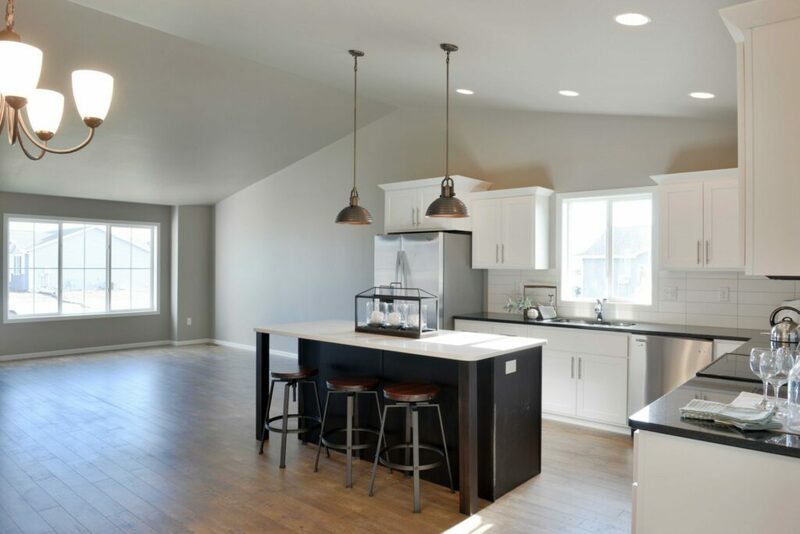 They started their home building journey sitting in a kitchen of a Thomsen Home open house. On that day they decided to take the leap and build a home for their family. 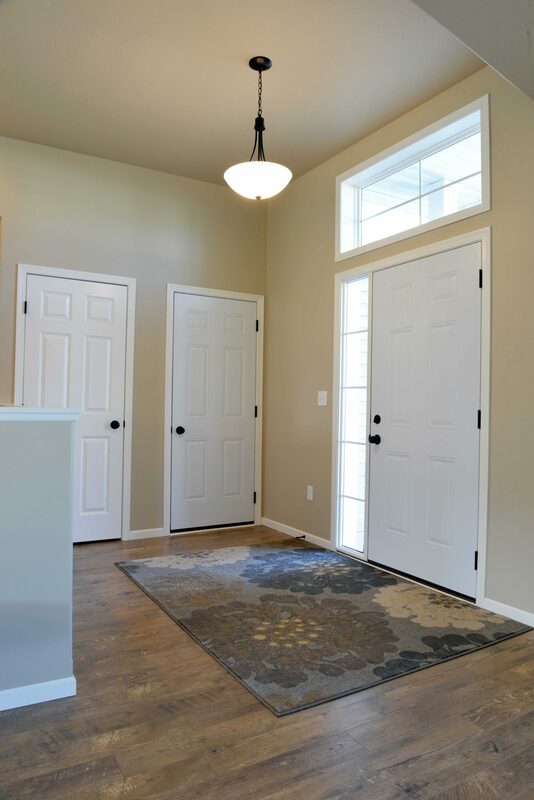 Not knowing what to expect they felt confident this new venture in building their home was in good hands with the Thomsen Team. Sitting in their living room of their new home, Katy’s eyes well up with tears and you can see that this journey of building their home meant so much to this family. Daks their little boy could not wait to show his grandmother his new room. Moments like those make it all worth the wait. Watch Katy and Scott’s Thomsen moments here and find out the reasons they built a Thomsen Home in West Fargo, ND. Spring is almost here and that means it’s out with the old in with the new! Here at Thomsen Homes we are excited to roll into Spring with a new website, two- new floor plans and some fun upcoming events. As you navigate through our newly remodeled site, you will notice some new features that you can use to help guide you in your new home search, no matter what stage you’re in. Looking for an available lot to build on? Checkout the new map features of our different developments and lot maps.  We have lots in developments throughout West Fargo, Fargo and Moorhead and if you don’t find what you are looking for reach out to Nate or Jessica from our team and they can work with you since we are continually acquiring lots. With the new maps feature you will be able to get a “Google Maps” birds-eye view on what developments are available and where that development is located within the community. Excited about a house plan? 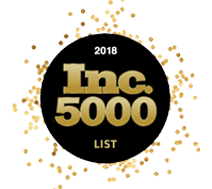 Like our new 1805 1 ½ Story or our 2585 2-Story! Easily share what you find on the site with friends and family. 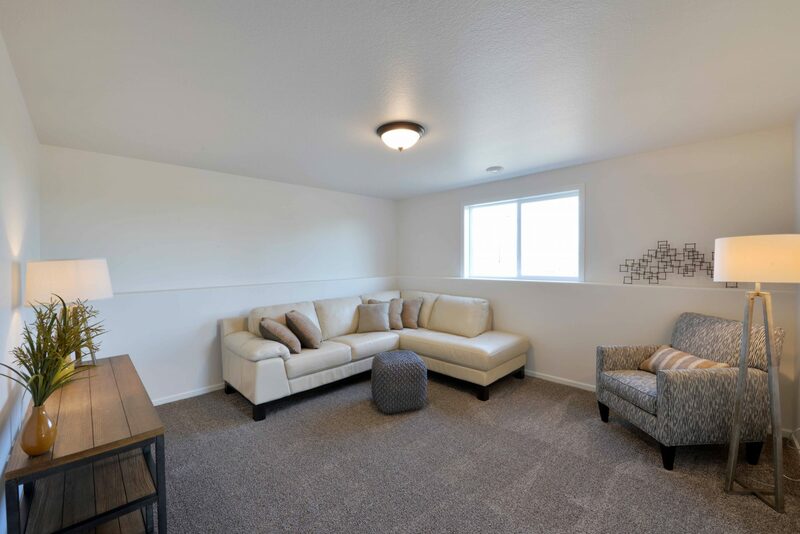 These two new floor plans offer smart space and intuitive design for those looking to downsize or those looking to expand. Check-back on our site to learn about some of the fun upcoming events and the latest features on our site. 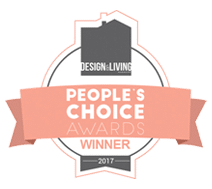 Stay in-tune with our Thomsen Homes blog for the Eco Chic Design Conference and the HBA Spring Parade of Homes. 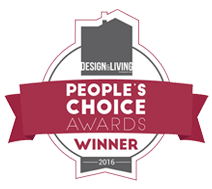 Thomsen Homes will have some great things to share during these events so stay tuned for me details! Not sure where to start? There are lots of ways to begin your search for your new home and get to know the Thomsen team. If your not set on building, browse through our quick close homes to get an idea of what is currently out there.  Or if you are looking to get perspective from other’s that have built with Thomsen Homes checkout our testimonial page to hear their stories. We will continually rolling out new things so be sure to stay tuned to the blog and the Thomsen social pages to see what’s going on. We all love our furry friends and want to make our home a pet-friendly place. There are different things you can do to incorporate a special space, or simple improvements in your new or existing home for your four legged companions. It’s important to consider your lifestyle, including your pet’s needs. Smart storage for food and toys and built-ins are a great way to keep your pet supplies and food organized. A pet wash area in the mudroom or garage is a convenient way to keep your pet clean as well as your home. Fencing your yard is another great option when you have pets to keep them safe and allow them to have some freedom to roam. Our furry ones like to watch the outdoors so having a large window that they can look out and enjoy the sunshine is a nice addition to any home. Having front door sidelights are a must-have for your guard dog or cat. Just another way for your cat or dog to know when you arrive home. Durable floors are a must-have for a pet-friendly home. We offer a laminate flooring with a matte finish and texture to help hide pet paw marks and making it easier on your pets from not slipping and sliding around the home. Aside from being super soft the “resista” carpet options are great for repelling stains, they also have a ‘fleck’ coloring in them, which is super great for hiding hair in between vacuum dates.